Many people don’t know that it is Abu Dhabi and not Dubai that is the capital of the United Arab Emirates. 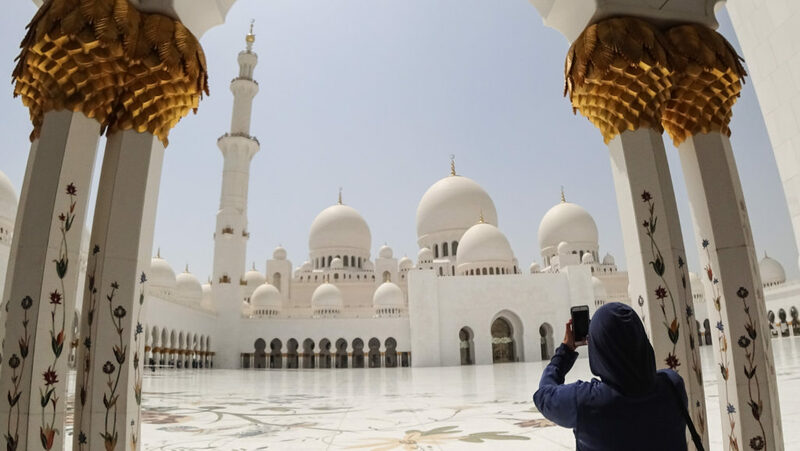 Although Abu Dhabi lacks the glitz and glamour of its ostentatious neighbor, it is a more cultural city that has well preserved its heritage in the face of modernization and urban development. If you’re visiting the UAE, you’re likely to spend majority of your time in Dubai. However, it would be worth to consider spending 48 hours in Abu Dhabi and visit some iconic monuments and majestic landmarks. Abu Dhabi is hardly a 1.5-hour drive away from Dubai and there are buses as well as taxis that can be hired to take you there. The budget way to travel would be by a bus which can be taken from either Al Ghubaiba Bus Station in Bur Dubai, departing every 15 minutes (for those staying in old Dubai) or Ibn Battuta Metro Station, departing every 30 minutes (for those staying in the new part of the city). Once in the city, you can take either buses or taxis from one point to another. Most of the tourist destinations are well-connected by public transportation. There is, however, no metro rail in Abu Dhabi. Here is the ideal 2-day itinerary if you’re planning to visit this burgeoning capital city. If you have limited time or just 1 day, I urge you to visit this one iconic destination, which in my opinion is an architectural masterpiece that is bound to leave you speechless. Sheikh Zayed Grand Mosque recently ranked 2nd at the TripAdvisor Travelers Choice Award for Top Landmarks in the World and rightly so. The sparkling clean marble white façade of this grand structure is as awe-inspiring as the interiors, with the intricately designed flower patterns, magnificent chandeliers and exquisite windows. As the mosque observes a strictly conservative dress code, you need to ensure your ankles, arms and head (for women) are covered (you have the option to borrow an ‘abaya’ from the mosque’s premises). The mosque is closed for tourists on Fridays so plan your trip accordingly. 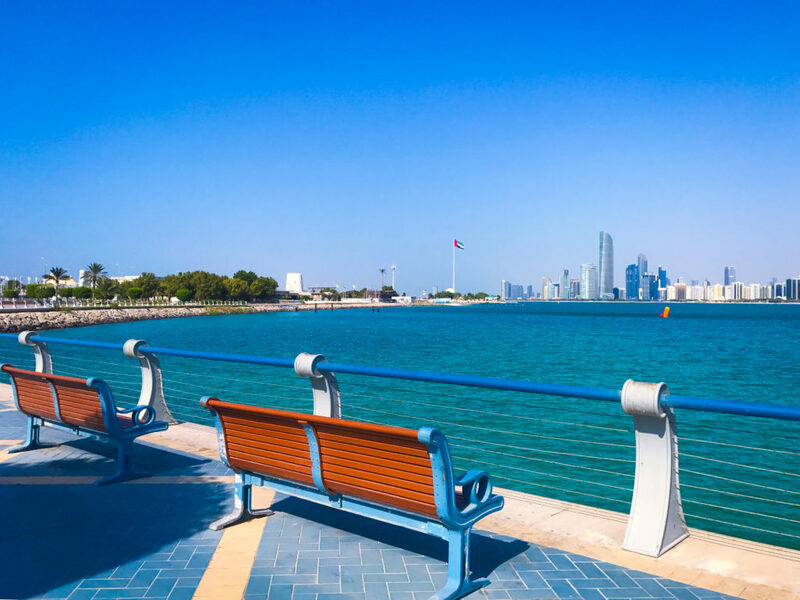 From here, head to Abu Dhabi corniche, one of the liveliest areas of Abu Dhabi, which stretches across 8 kms of white sandy beaches, walking paths, cafes, children’s play areas, water sports, beach clubs, restaurants and so much activity! The crystal-clear waters are extremely inviting and you might want to grab an umbrella and sun lounger at the public beach for as less as Dhs 25. The beach itself stretches for 2 kms and has areas separated out for couples, single people / groups and families with children. Alternatively, if you want to sip on a cocktail and munch on snacks, you may choose to visit Nation Riviera Beach Club, a part of St Regis Hotel (although there is steep entrance fee of AED 300 on weekdays and AED 400 on weekends) which gives you access to a water sports centre, beachside gym, a terrace restaurant, and even a swimming pool with bar. Observation Deck at 300 is Abu Dhabi’s equivalent of ‘At the Top, Burj Khalifa’. Located at the end of the corniche beach road, across the stunning Emirates Palace hotel, are two of the tallest buildings in the emirate, known as Etihad Towers. One of the towers is home to an ultra-luxury hotel and boasts of the highest observation deck in Abu Dhabi, located on its 74th floor. Observation Deck at 300 is not like the usual viewing platforms, it is a lounge that offers 360-degree views of the splendid skyline of the city, which although no match to that of Dubai, stands at a close second. A minimal Dhs 85 entrance fee (with a Dhs 50 voucher to spend on food and beverages) gives you access to an elegant seating area with sweeping views. The place closes at 6 pm, so make sure you visit before that! 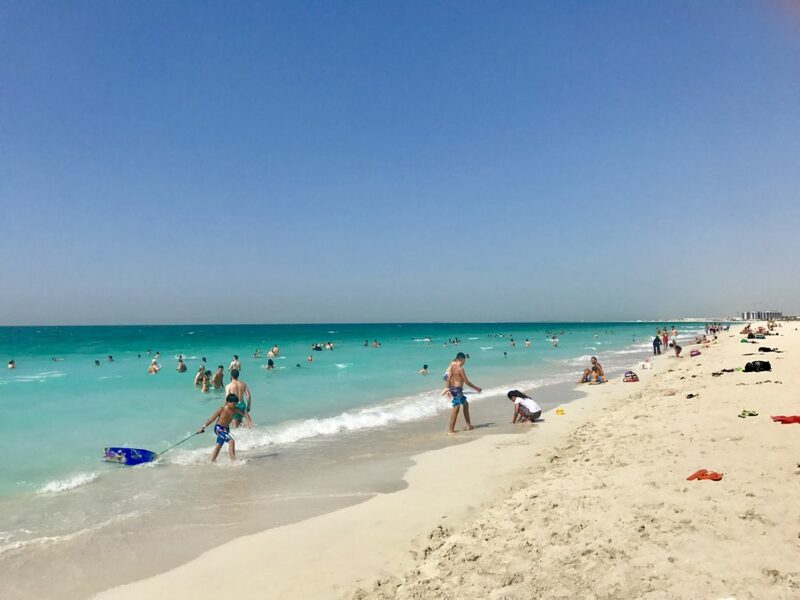 Yet another fabulous beach in Abu Dhabi, I personally like this one better than Corniche beach because it is lesser crowded and much prettier! But it is also more expensive – Dhs 25 for entry only (Dhs 50 for sun lounger and umbrella) on weekdays and Dhs 50 for entry only (Dhs 75 with sun lounger and umbrella) on weekends. There is a small beach café at the entrance where you can enjoy refreshing drinks (non-alcoholic), snacks and ice cream. 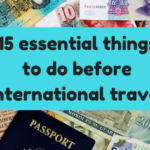 Read my post on 10 things you must know BEFORE travelling to the UAE. In my opinion, this is the best waterpark in the region. A perfect way to spend time in a city that enjoys sun 360 days a year, people who love water slides, no matter that their thrill level is, can have fun here. The winding tube rides, which end with you slipping out of a serpent’s mouth, are my favourite. For the daring, two extremely steep slides are sure to test your mettle! The rest can glide along the lazy river or swim in the wave pool. Situated right across Yas Waterworld is one of the largest indoor theme parks in the UAE. With a host of 4D experiences, stimulation rides, exhibitions and roller-coasters, this is a one-of-its-kinds amusement park in Abu Dhabi. Do not miss Formula Rossa, the fastest roller-coaster in the world, which accelerates from 0-240 km/h within a span of 6 seconds- a crazy ride from the start until the finish. Even before you’re able to catch your breath, the ride is over! My second favourite ride here (another roller coaster) is the Flying Aces, which not only has the tallest loop in the world but also one of the steepest! There will be moments more than you can remember, when you will feel total weightlessness on this one. Beware of long queues outside these two rides; there is a separate queue for those who want to sit only in the front and it is usually even longer than the normal one! There are small car tracks for the children, where they can enjoy driving their own little vehicles. 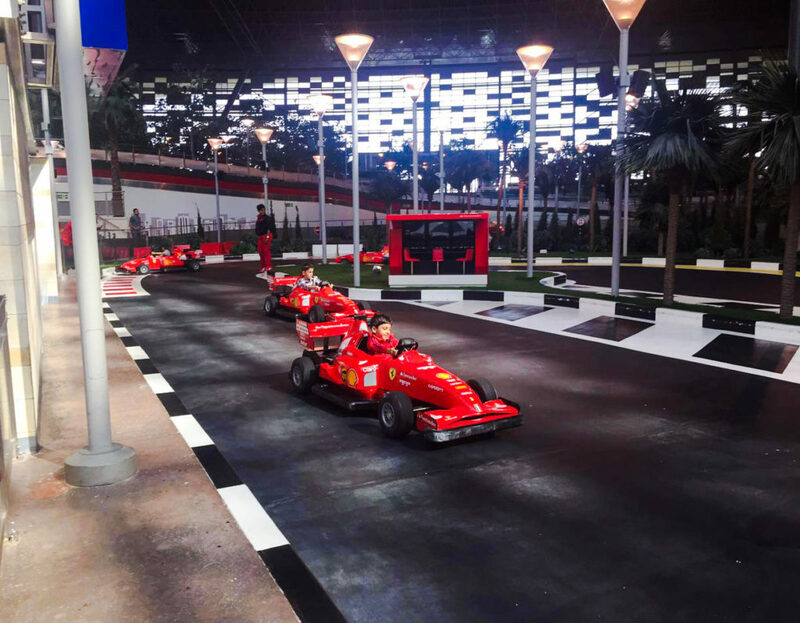 Ferrari World is not exciting only for motoring enthusiasts but also theme park lovers and kids alike. There is a pass that allows you 1-day or 2-days entry to both these parks. Unless you’re interested in skipping either of the two, this is a reasonable one to purchase. Yas Mall: Also located on the Yas Island, this is one of the largest malls in Abu Dhabi. With unique and exclusive stores and brands from around the world, it’s one of the primary visited destinations in the emirate. Connected to Ferrari World on one end, it is easily accessible by foot. With terrace restaurants overlooking the amusement park, offering cuisines from around the world and flavoured shisha pipes, this is the perfect place to sit back and relax after a tiring day at the parks. Although this isn’t a place a lot of people like to visit unless the Grand Prix finales are taking place, it might be of interest to motorsports fans who can enjoy a unique opportunity to drive on these famous tracks! An expensive experience no doubt, but with several options of sports cars that can be zoomed and tested on their extreme performance, thrill-seekers will love sliding, swerving and drifting on these world-class tracks in these exceptional vehicles. Corniche: This is the liveliest and most happening area to stay in and is in close proximity to most places. You will find all types of hotels here ranging from luxury beach resorts to city hotels and budget stays. pools (one for adults and one for children), fitness center, spa, tennis court, free wi-fi, and more. Click here to read reviews and see the latest prices. Jumeirah at Etihad Towers: Although a 5 star hotel, this is a more affordable option and get great reviews on tripadvisor. Amenities included free wi-fi, pool and free parking. is a good value hotel with great breakfast and clean rooms. Also offers free admission to Observation Deck at 300 Click here to read reviews and see the latest prices. Yas Island: Although there are not a lot of resorts here yet, the ones that have come up are really nice and close to the Yas Island attractions. It is also not very far from the corniche/ downtown area. Yas Viceroy Abu Dhabi. Yas Viceroy Abu Dhabi has a great location near Ferrari World and Yas Waterworld and offers views of the racetrack for those that want to see the Grand Prix. Amenities included free wi-fi, pool, spa and free parking. Click here to read reviews and see the latest prices. Centro Yas Island Abu Dhabi by Rotana. One of the more affordable options in Yas Island this is a good value hotel with a pool, free-wifi and free parking. Click here to read reviews and see the latest prices. 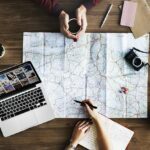 Medha’s bio: I’m a travel blogger at Hopping Feet and storyteller who loves adventure, food and wine, roadtripping, camping, hiking and everything crazy! I’m high on life and have springs under my feet. I love nature, historical old towns, and great nightlife. I’m a sucker for good deals and budget travel and a total romantic at heart! I have a full time job but globetrotting is my passion. Follow me on Facebook, Instagram and Twitter. Disclaimer: This article contains affiliate links. I may make a small commission if you make a booking using my links at no extra cost to you. 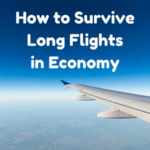 amit recently posted…Backpacking New Zealand: My overview! how amazing are your pics. Abu Dhabi is definitely moving up my bucket list everytime I read about it. 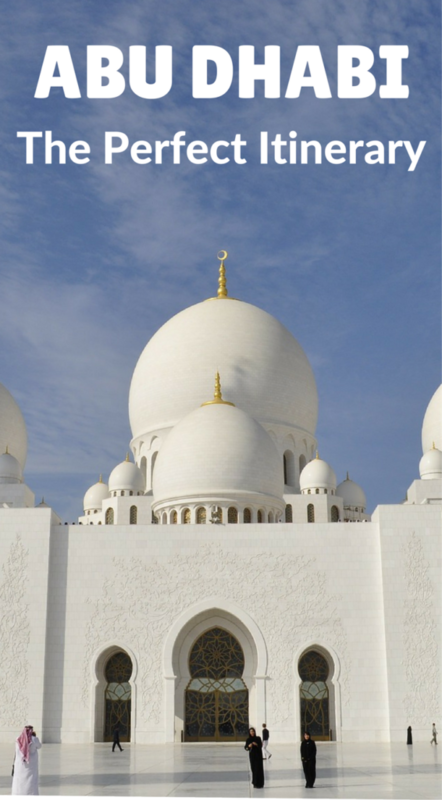 The Sheikh Zayed Grand Mosque looks amazing. I love how the color white can be so vivid. Is the water at the Riviera Cold? 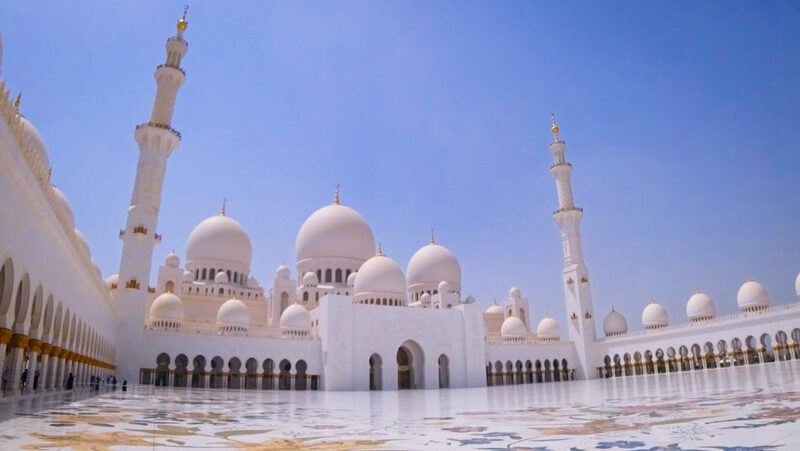 Visiting Abu Dhabi and especially seeing the Sheikh Zayed Grand Mosque in person is on my travel wish list. So many places, so little time! I would like to visit Abu Dhabi next year! I need to take a day trip from Dubai to see that mosque.